This vehicle uses an indicator light to alert users when it's time to change the oil. 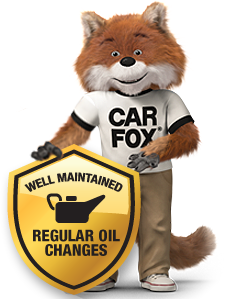 Oil changes have been reported to CARFAX at least every 15,000 miles, which is in line with manufacturer guidelines. This CARFAX Vehicle History Report is based only on information supplied to CARFAX and available as of 4/21/19 at 12:06:27 PM (CDT). Other information about this vehicle, including problems, may not have been reported to CARFAX. Use this report as one important tool, along with a vehicle inspection and test drive, to make a better decision about your next used car. Estimated length of ownership 2 yrs. 2 mo. Is the odometer consistent with the last reading of 21,051 on the CARFAX report summary above?